I agree with James. 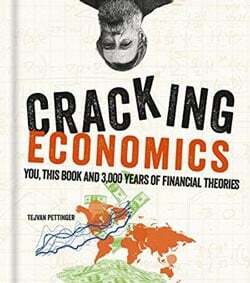 The current growth-based economic model is a massive pyramid scam and is unsustainable. In the long run human overpopulation and its consequence will increasingly outweigh all other considerations. But govts will continue to do nothing about this because the problem and answer is longer term, will need a universal response Also because bad pension models (current workers pay for current retirees) and dependance on growth-based economies con people into believing we can't cut back on population growth. Ditto developing countries with No pensions who believe that childbirth IS their pension provision. Population decline is continuously sold as a PROBLEM in the press. It is not - it is fundamentally necessary. Almost everyone who is 60 now will be dead in 30 years time and the 'Demographic time bomb' disappears as the balance is restored, it really is that simple. also there are too many malthusian comments on here. as population increases other factors also increase so the world can support even higher populations such as advances in agriculture and technology and architecture and engineering and, and, and,...i think i made my point.